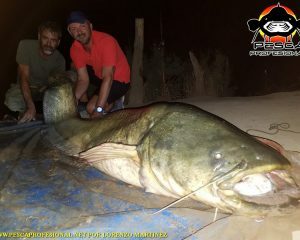 La miss del Nilo (Lates niloticus), It is a fish of the family of latidae (earlier in Centropomidae changed and the 2004 ) (order of Perciformes, Suborder Percoidei) You can reach 2 m long . It is native to Ethiopia. 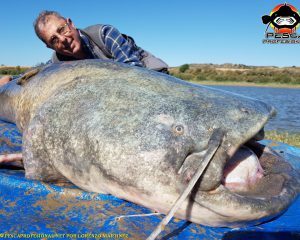 The introduction of this species in Lake Victoria, It is one of the most commonly cited examples, To explain the harmful effects of invasive species, They may have in Ecosystems. 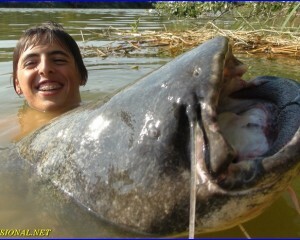 In the years 1950, Nile perch was introduced into Lake Victoria waters, the 2 Th largest freshwater reserve in the world. 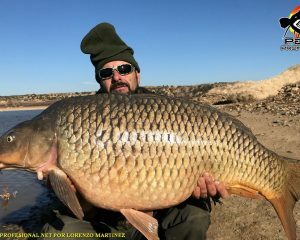 This lake had the distinction of hosting a considerable number of native species, especially several hundred species of cichlid, fruit of the explosive diversification that occurred AGO 12 000 years. 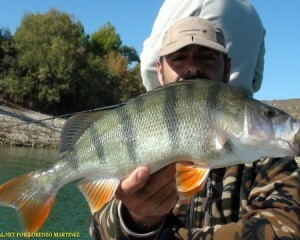 Perch perfectly suited to this new environment, to the detriment of local species. 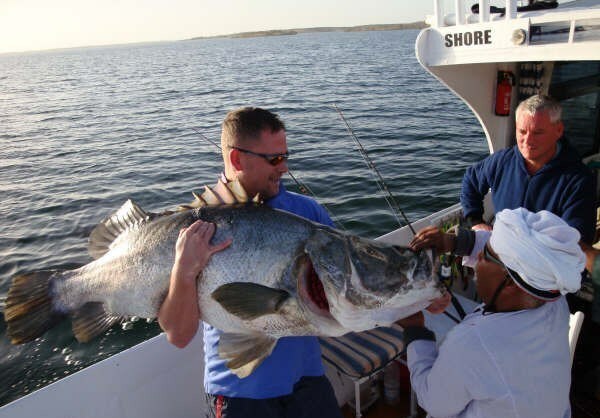 while 1977 cichlid catches still accounted for 32% Fishing (mass) and those of the Nile perch 1%, 6 It was years later they catch a 68% Nile perch of del frente al 1% cichlid. Specialist Group of IUCN includes Lates niloticus among the hundred species, World's most harmful invasive. Nevertheless, despite the disappearance of a large number of cichlids, the catch figures soar: 1000 t in 1978, 100.000 t in 1993 for Kenya – Tanzania Nile perch exports to the European Union, Its main source of foreign currency : 500 t fillets are shipped daily from Mwanza airport. 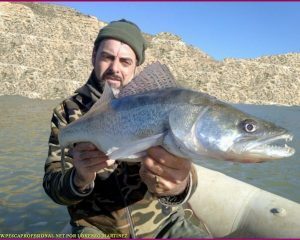 A Comparative Study of the introduction of the Nile perch was held in Australia (Queensland), but “seen disasters caused by this fish in several African lakes, the local government finally discard the project decició. Nevertheless, Can not be attributed only to the depredations of the Nile perch biodiversity Disappeared Lake, but a with a combination of lake eutrophication, with a concomitant decrease in the oxygen concentration, and loss of natural habitat . 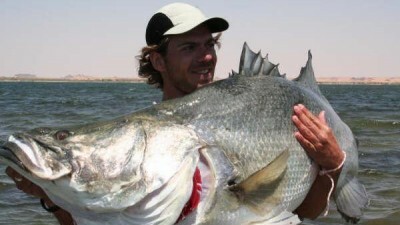 The scenario perch fishing giant Nile is Lake Nasser. This vast sheet of water is in southern Egypt and is one of the largest artificial lakes in the world. The beauty of place residing in the Egyptian desert reaches the shores of this lake. Lake Nasser is the product of the damming of the Nile with the Aswan Dam. This dam was built by President Gamal 'Abd Al-Nasser in the years 60 Y 70 twentieth century to control the annual floods. It was designed by British engineers and built by Soviets. The total cost of the work was a trillion US dollars and currently is employed to generate 10.000 million kilowatts annually and has capacity to irrigate 800.000 hectares. The water layer has a maximum length of 400 kilometers long and the dam dammed between 44 Y 70 million cubic meters of water. 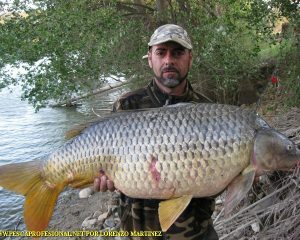 On its banks, There nomadic pastoral populations and fishermen. 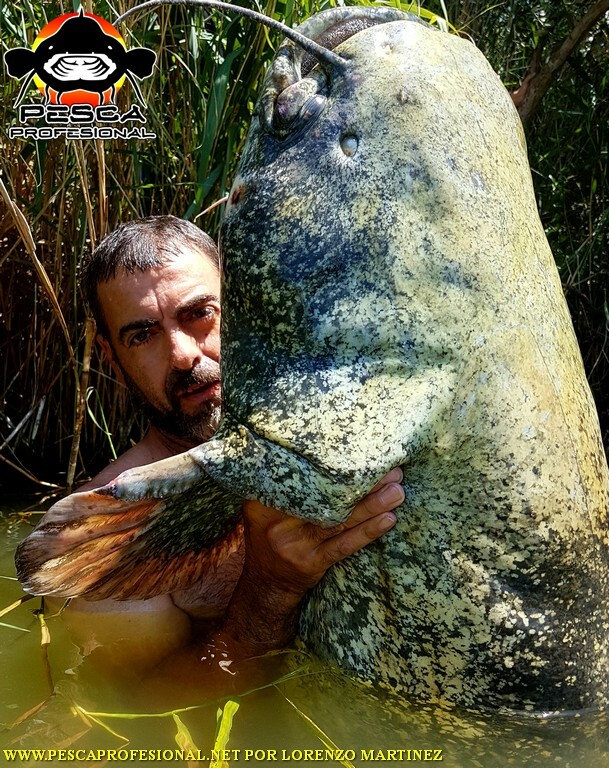 These data Rozan With gigantism, the people of this water could not be less and its greatest exponent is the Nile perch, that in these latitudes can easily exceed the 100 kilograms, Although the sport fishing Get Fish is usual between 20 Y 50 kilos. 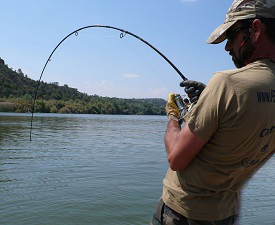 The techniques used for fishing the Nile perch launches crankbait and son, Although also may tempt the fly, very heavy although it may be, Because we dedicate the whole day to fishing and motor to be very heavy Lures , deepen several meters deep. 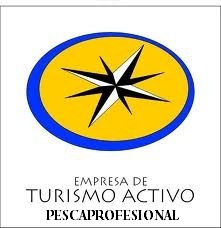 We intend to try them barramundi del Nilo, we have to prepare the teams for the occasion. Cane should be heavy action, very strong and with a length of about three meters if we caught the throw from the shore or from the boat. During the conference the set and alternate curricán. 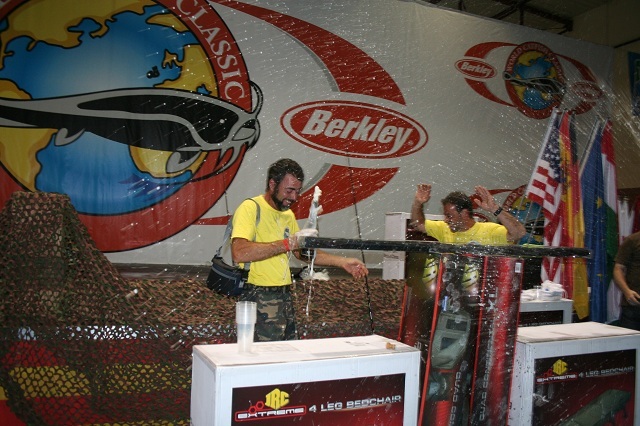 For the second technique, Trolling rods will serve sea, Although spinning rods 1,90 meters and will serve us hard. Reels should be fairly resistant, with a good brake and manageable. The lines should also be somewhat special. Braided Lines are discouraged DUE TO rocky bottom of the reservoir. 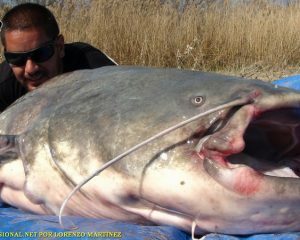 AS TO THE monofilamientos, The most used are the diameter 0,40. further, Fishing for action, incorporated line low 0,80, Also monofilament, to resist friction with rocks. The swivels should be strengthened, Due to the tremendous tension that must endure. AS TO THE Lures, the large dimensions will also be. Of more Used Crankbaits, the son of sizes ranging above 14 As vinyls cm So large. 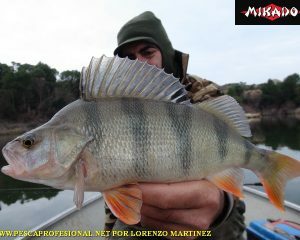 The most effective colors are imitations of perch in natural colors, And all its variants in bright colors. 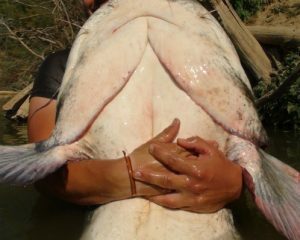 Hooks coming in artificial must change the hardness by other mayor. The first data we have from the Nile perch dating from the origins of Egyptian civilization, as the god Osiris, also representatives of the fertility of the Nile Valley. So, two fish are believed to represent this god. A serious Nile perch and tilapia other. 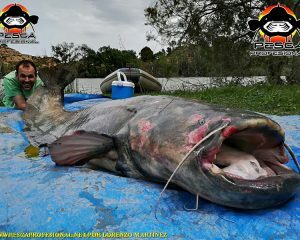 La miss del Nilo (Lates niloticus) It is a fish of the family of Centropomidae (order of Perciformes, Suborder Percoidei) Which can reach two meters in length and far exceed the one hundred kilograms. It is originally from Ethiopia and today it can be found in practically all the middle reaches of the Nile River, Having two extraordinary concentrations in lakes Victoria and Nasser. The latter come the steaks we can find in the Spanish Fishmongers. On Lake Nasser, its population is stable and there is a more or less stable equilibrium. Nevertheless, the introduction of the Nile perch in Lake Victoria has created an environmental disaster of the first order, since from 1950 It was introduced that has ended with most native species of cichlids. 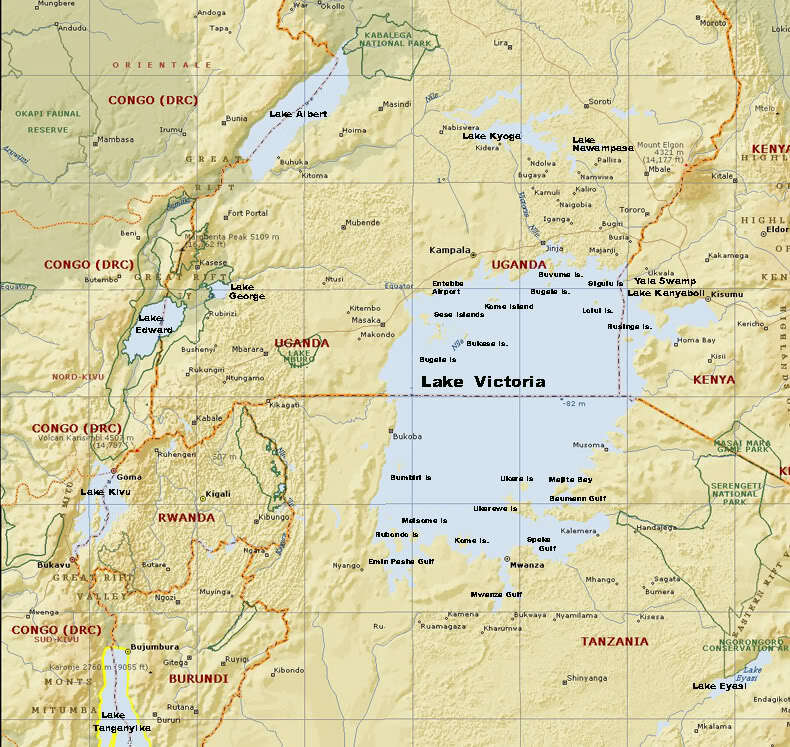 Lake Victoria is one of the most famous landforms Africa, located between Tanzania, Uganda y Kenya, the mayor of the continent and the second freshwater lake in the world of urban sprawl, After Lake Superior (North America). But the mayor of tropical waters. Although it seems a simple circular view, It is rectangular, with a maximum length of 340 km, width 240 km and a depth of 83 m. The topography of this lake is quite different from the other lakes in the region, as shaped cuvette. It is a very large lake, but shallow and with a high density of aquatic vegetation, It has a relatively soft background with scattered rocky areas. 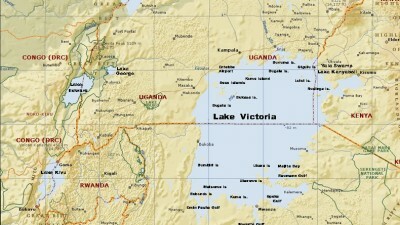 Lake Victoria is relatively young, especially in comparison with Malawi and Tanganyika lakes, both with several million years old. Drains to the river Nile, and its main tributaries, son and Kagera Katonga, the western sector and the Victoria Nile, in the northern sector, so water drains more Get, why the son of Great Importance rainy rainfall, para maintain its moisture level. In recent years, global warming has had a devastating effect on the African continent, It is presenting a drought that lasted from 2000 2005 al. Although in the last two years there have been periods of normal rainfall, these have not been sufficiently abundant to regain previous levels a year 2000. With the increase in average temperature and the decline of the rainy season that is occurring in Africa, Hopefully Lake Victoria continued in a rapid decline of the water level, which he has lost more than two meters from the water level in recent years, situation has worsened by over-use of lake water, especially in Uganda, which experts drains more water than corresponds to the water treaty, for their hydro. 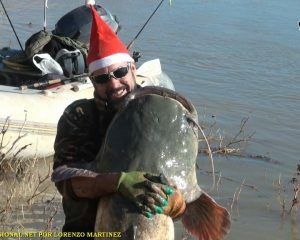 Hello,I'm a man from Arrasate q l like a lot the whole issue related to the sport of pesca.Estos videos like many others, m q make blood boil,q counting the time remaining until the veda.Aqui q is habra begins on the weekend Bridge San Jose in March and ends q 31 of September,with special permission q deves ask the Diputacon of Alava,valid for the month of ocubre,with its share of catches(in order to culling the population of many pikes q inhabit these waters Alavesas)q abundant in perches and trout,q prowled the edges and made us spend very good ratos.Ahora there is not a bass.Q misero you stay clear q lieth never fault a fish q I have much appreciation,If more people took control q cubes basses whole small size and not practiced or nothing about the capture and suelta.Aqui is sad to see how impale pikes or thrown as waste to practice contenedores.Esta is nothing sporty,Unsportsmanlike totally the opposite and do not share it at all. 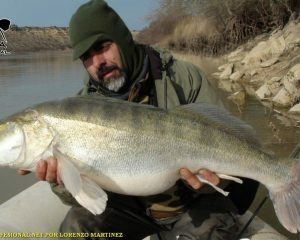 I've seen videos on the q trout,basses and pikes co-existed without any problem in one reservoir,but where q is a practiced catch and suelta.Ya see this topic m q lose,ES Q CAN NOT EVITARLO.Bueno q I comment the beautiful landscape and deserves a good mark,¿no creeis?,Besides this well,The images are slick,these stoppages in slowly,making the jump,being seen using your domain,they are spectacular,They are really emocionantes.Bueno, q sigais delighting hope these videos for a long tiempo.Un d greeting and your friend TXISFI and see you soon. excellent videos, excellent fish. 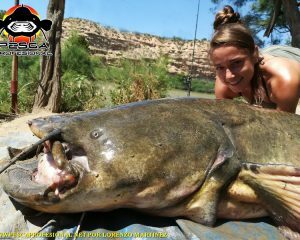 Their fight is similar to the largemouth bass or Black Bass, although, the Nile is stronger. 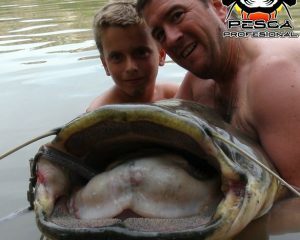 Get me out of doubt ¿This fish is the same as the Barramundi? 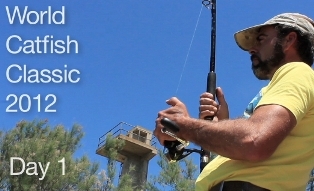 Greetings and congratulations to fishermen and those responsible for this web site. Greetings from Mexicali, Baja California, Mexico. 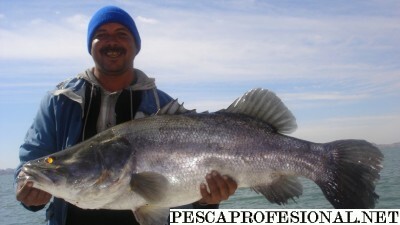 I am a sport fisherman of Black Bass, tìo.